It’s a fact ... hormonal changes can wreak havoc with your skin once you hit the big 4-0. 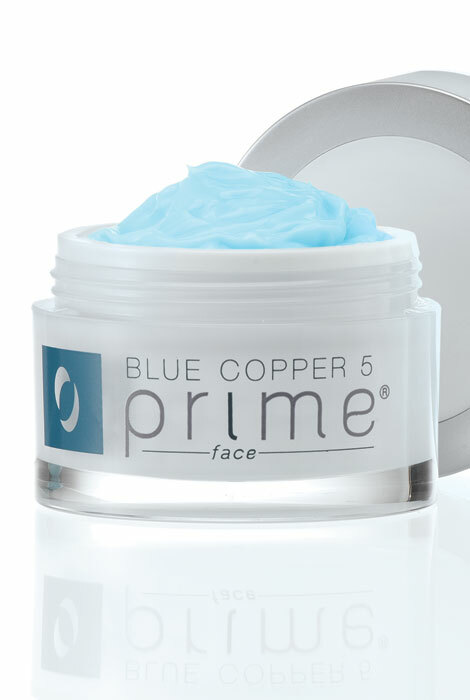 As skin becomes thinner, dryer, more prone to sun damage, lines and wrinkles, you need the targeted power of Blue Copper 5 prime skin cream. 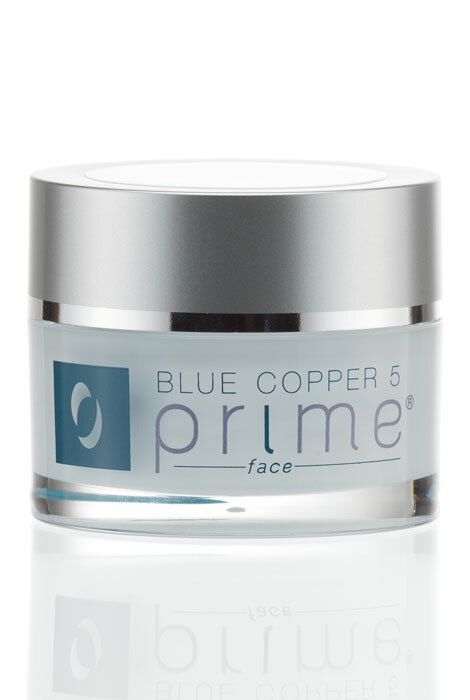 This age-defying skincare cream harnesses 3 times the strength of copper peptide to promote collagen and elastin, improving firmness, elasticity and tone. Patented Tetrapeptide counteracts gravity to prevent sagging. Epidermal Growth Factor restores density to fragile skin, reducing fine lines, wrinkles, redness and blotchiness. Natural Artichoke Leaf Extract helps prevent collagen breakdown while enhancing skin thickness and hydration. This skin cream is perfect for all skin types; use this silky cream a.m. and/or p.m. to keep your skin healthy, radiant, hydrated and ageless. 1.7 oz. This product’s description seems to be just what my aging skin needs. I have used it before. A really good face cream. BEST ANSWER: Thank you for your question. We have included below the ingredients for this item.We hope this information will be of help to you. Purified Water, Glycerin, Butylene Glycol, Carbomer, Polysorbate 20, Palmitoyl Tripeptide-1, Palmitoyl Tetrapeptide-7, Squalane, Cynara Scolymus (Artichoke Leaf Extract), Cetyl Alcohol, PEG-20 Methyl Glucose Sesquistearate, Dimethicone, Dimethiconol, Acetyl Tetrapeptide-2, Caprylyl Glycol, sh-Oligopeptide-1, Tocopheryl Acetate, Linoleic Acid, Stearic Acid, Methyl Glucose Sesquistearate, Ceramide, Soybean Sterol, Prezatide Copper Acetate, Copper PCA, Lavandula Angustifolia (Lavender) Oil, Carbomer, Diazolidinyl Urea, Iodopropynyl Butylcarbamate, Potassium Sorbate, Tromethamine.